Are you using any cold market prospecting scripts, or are you just “winging it?” You see, there are good and bad ways of approaching your cold market. You don't want to come off as a high pressure salesperson. And you surely do not want people thinking you may be the next mass killer that is plotting their death. Putting all their cold market prospecting scripts together, I have developed my own that works every time. Am I saying every single person agrees and joins? No, but it cuts to the chase immediately and I am able to keep moving. So in today's post, I am going to share cold market prospecting scripts that work. To give a proper cold market script training though, it is important that you understand each of the steps of the script. Introduction – You would introduce yourself and the company. Opening – You would give a brief explanation as to why you showed up at their door and what you plan to do. Presentation – This is when you get down to the “nitty-gritty” and show all the value and benefits of your vacuum cleaner, magazines or lifetime siding. Pre-close – This is basically preparing the way when you slide the contract and pen to the potential customer. This is when you want to get all objections cleared up. Close – Just as it says, you are closing the customer and hopeful having them hand you money for the product you demonstrated. While cold market prospecting is a type of sales script, it is much different than the script you would use to sell a product. After all, you are not demonstrating a product per say. The main thing you are selling is an opportunity… You are selling an opportunity and you are selling yourself. I am going to take you through the steps before I share some cold market prospecting scripts that work. It is very important that you come off as either being in a hurry or being in the midst of an important business discussion. The prospect must have the impression that you believe they are important enough that you would take a moment from your business for them. I have a business meeting in a few moments but…. My office is buzzing me but I can get back to them in a couple of minutes…. The idea is to give the impression you are an extremely busy entrepreneur. This gives the prospect the impression they are talking with an important person… And they are, because you are important. This step is of utmost importance and it must be sincere. Have you ever received a compliment from a person knowing they just wanted something from you? Don't be that person. I suggest you really look closely at the person and be real with whatever compliment you give them. Don't tell them their hair looks nice if it doesn't. Use truth in your compliment and it will come out as sincere. Why the compliment? It will warm the prospect if it is sincere and they will gain some trust in you. They will be more open to what you are going to propose. I bet you have no enemies with a smile like that…. Wow, I bet you could sell ice cubes to an Eskimo…. You tell your boss that I said you should get a raise because you provide outstanding service…. I believe you see the point. Now that you have proceeded through the other 2 steps, here is where you are going to approach the prospect with an invitation. There are many ways you can go about this depending on the prospect, where you are and your own preference. If I told you a way to help your financial future without affecting your current career status, would you be interested? Are you open to diversifying your income? 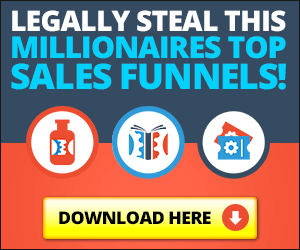 Or you could use the powerful way Randy Gage goes with this: With your talents, you could easily make $20,000 a month in the business I am starting…. Now watch the response which will give you a good idea of the person's desires and needs. Generally, I recommend this approach with cold market prospecting scripts. But, I do suggest you experiment to find what works best for you. Do you know anyone that is looking for a strong business they can run from home in their spare time? I work with a company that is expanding in this area. I am looking for sharp people looking to increase their income. Do you know anyone who fits the bill? At this point, they will probably start questioning you for more information. This is when you remind them that you are rushed and move into the next step. This is when your 3rd party tools come into play. More than likely, your MLM company has DVDs, CDs or some type of printed material to give to prospects. But do not just hand the item to the prospect; you need a commitment. If I give you (3rd party tool), will you watch, listen to or read it? If you followed the other steps precisely, you will get a yes a huge percentage of the time. In some cases, the prospect will ask for more information and you just explain that everything is answered in the 3rd party tool. If they say no, just thank them and move on to the next prospect. Do not debate or beg. Now if you hand a cold market prospect a 3rd party tool without a commitment from them, odds are it will get set on a counter or in the glove box of their car and will never be viewed, read or listened to. You need a commitment! When do you think you can (watch, read or listen) to the (3rd party tool)? Do not suggest and answer! Make sure you are smiling the whole time! Now they have agreed this far…there is a dim chance they will back out now. All I need now is the best number to reach you at and the best time to call. Just wait for an answer, he/she will give it to you. Here is where many young network marketers screw it up. This is no time to just hang out and talk about the program or sports or anything else. And leave or hang up the phone…whatever, just get moving. Now just to give you a run through of this in action, I am going to run you through an example. I will say that I just went into a health food store and the cashier is the lone person. I am going to cold market prospect the cashier. I wait for the answer and he says sure. Dave tells me he will watch it tonight when he gets off work. If done the way I said, Dave will smile and say sure. I make sure and enter that info in my book and I also make sure I call Dave at the exact time I said. Now that was just an example. You can use variances of it… But it does work! Go give this method a try and come back and tell me how well it works for you. I know you will be happy with the results. Hey, will you do me a favor? Share this with your teammates on social media. You can do it with the buttons and they can have joy in their cold market prospecting too. Thanks and may the profits rain upon you.